I really don’t need to post this recipe. 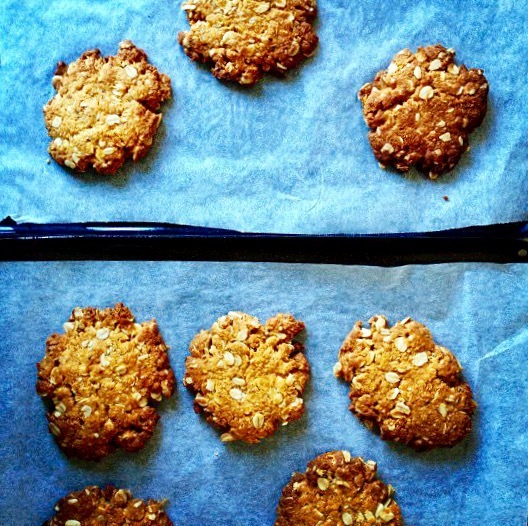 I mean, ANZAC biscuit recipes are a dime a dozen, at least in Australia! But I thought I’d share it to demonstrate how easy they are to make even if you don’t have all the ‘original’ ingredients. 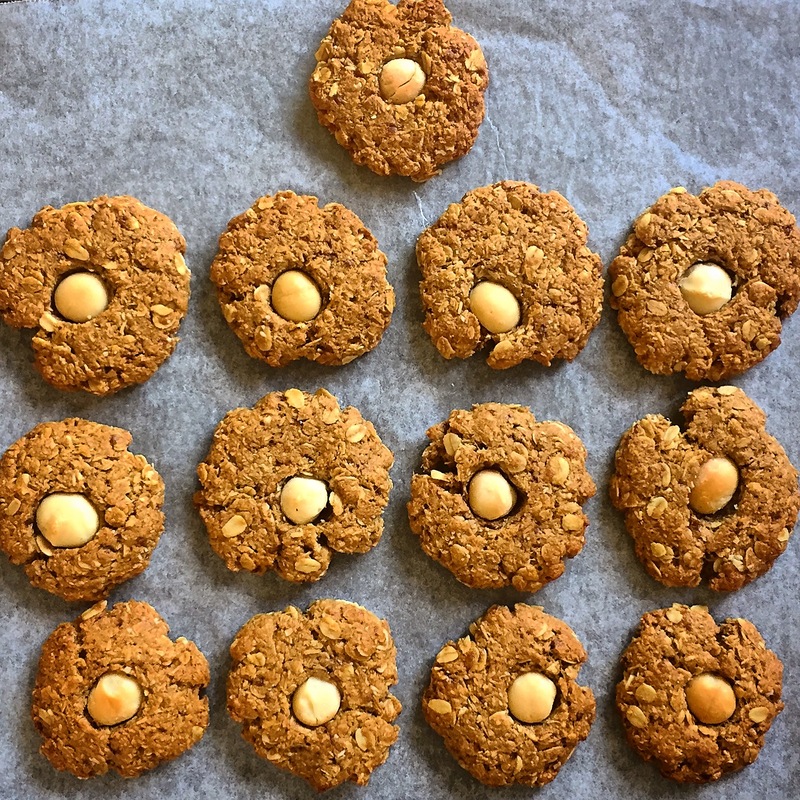 Because I avoid mass-produced, over-processed foodstuffs, I don’t own some of the ingredients a standard Anzac biscuit recipe would ask for. It’s actually very easy to adapt most recipes; it only requires a little thought to be ‘creative’. Here’s my ‘edited’ ingredient list and the swap-outs I use… that work perfectly well! Add the water & bicarb soda to the saucepan when the butter has melted, mix it up then add to the dry ingredients. Mix well. Bake for 15 minutes or until golden. Cool on wire racks. I garnished this batch with a good ol’ Aussie macadamia nut.